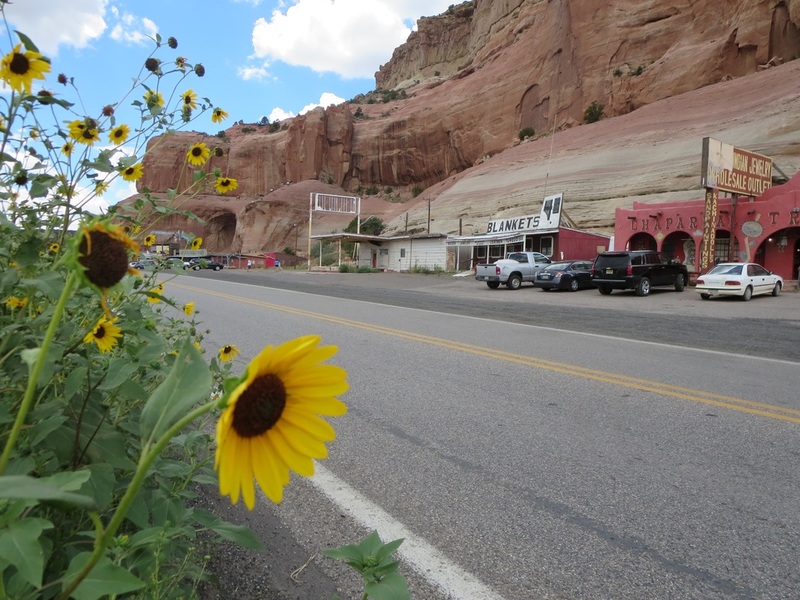 The Painted Cliffs are a magnificent backdrop for the well-worn roadside attraction that is Lupton, Arizona. This unusual front-door entrance to Arizona, just west of the state line, has been greeting motoring tourists on Route 66 and now Interstate 40 for 90 years. ​It's easy to dismiss Lupton for its kitschy shops selling Indian gewgaws, post cards and shot glasses to tourists. Clearly, time and the high-speed highway have passed Lupton by. 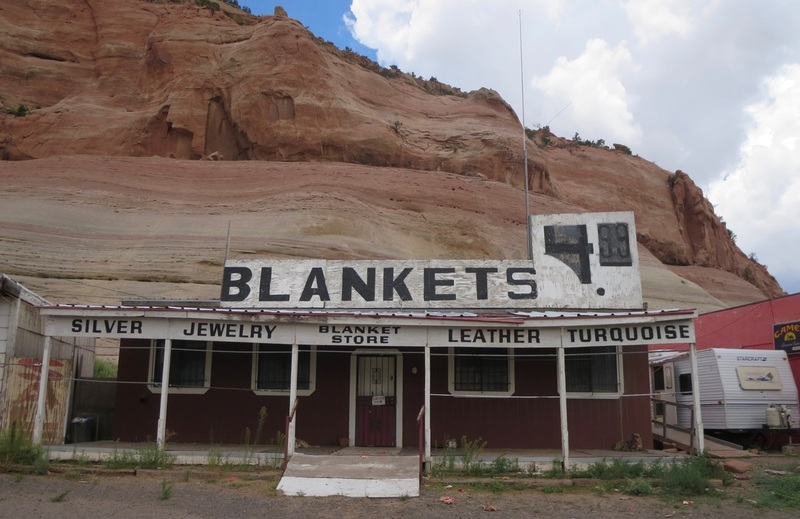 At one time, Lupton had legitimate trading posts that sold rugs and jewelry from Navajo, Hopi and Zuni artists. The town site is on deeded land within the Navajo reservation. Lupton had its moment on the silver screen with a brief scene in the 1940 film "The Grapes of Wrath" with the Joad family rolling into Arizona in their Okie jalopy bound for California. Max Ortega, a port of entry inspector in Lupton during the Great Depression, opened a trading post there in 1946 with his 18-year-old son Armand. Another son, Gilbert, went on to be a millionaire owner of Indian shops from Gallup, New Mexico, to Scottsdale, Arizona. Lupton had tourist shops, gas stations and motels serving Route 66 motorists for decades after World War II. In a 2007 interview with David Dunway, Armand Ortega remembered bumper-to-bumper traffic on Route 66 during postwar boom times and how Lupton became a virtual ghost town when I-40 opened in 1984. It's remarkable that Lupton still exists, even it's a lot worse for the wear, 30 years later. The town was named in 1905 for George William Lupton, the Winslow train master who was known as G.W. He was a native of Todcaster, England, who grew up in Illinois and got into railroading as a telegraph operator. He took a job with the Atchison, Topeka and Santa Fe Railway in 1892 and was stationed at the district headquarters in Winslow, according to a 1906 edition of Who's Who in Railroading in North America. Now, G.W. Lupton is just a footnote in Arizona railroad history and the town named for him survives as a Route 66 relic. The New Mexico state line is just to the right of this store and all of Arizona is to the left. It's 359 miles across the state on Interstate 40. 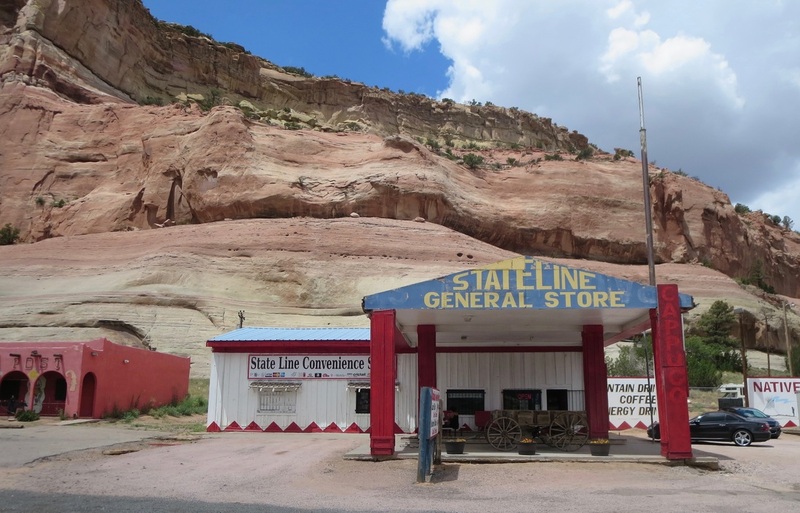 The Painted Cliffs are a striking background for a string of shops that are the first chance for tourists to spend their money in Arizona. Business has faded from the boom times of Route 66 after World War II and up until the 1970s.